and of course a challenging final quiz to check if you have assimilated the lesson. You'll also notice that the audio files of for each lesson have been re-recorded in high quality. 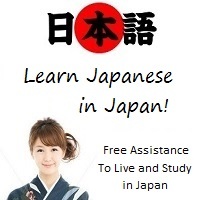 If you don't have a Samurai account yet, support Japan-Activator and get an access to the new lessons. I chose to let members with a Samurai account enjoy these lessons first. This is for me a way to thank them for their active support, which make all JA projects possible. For JA Sensei users, the application was updated to version 3.3.2 yesterday. Have a look on Google Play to see what's new. These five new lessons are not yet available on JA Sensei because I unfortunately can't take care of it right away. I try to organize the best I can the projects, and I have other tasks that I'll finish first.